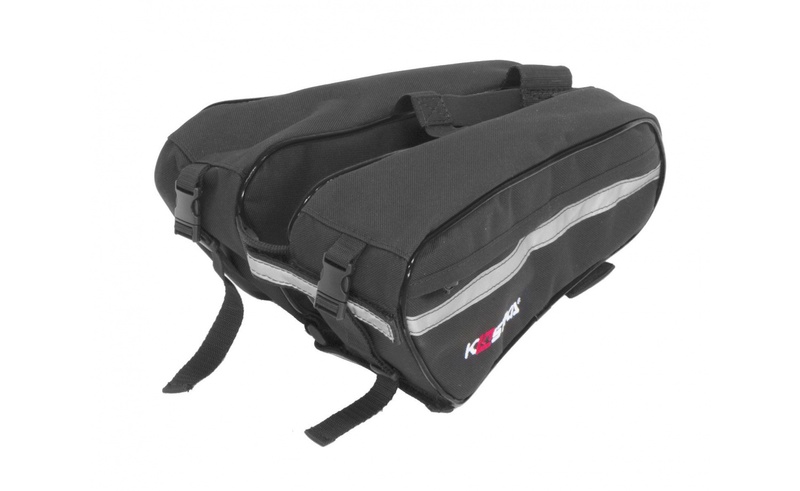 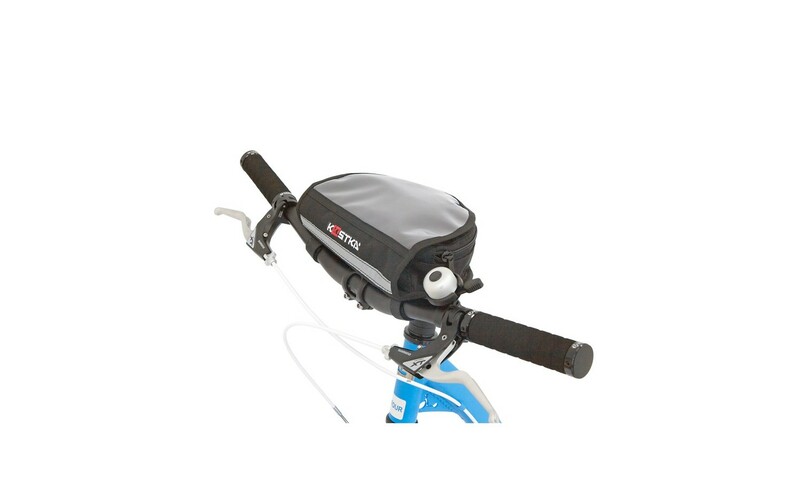 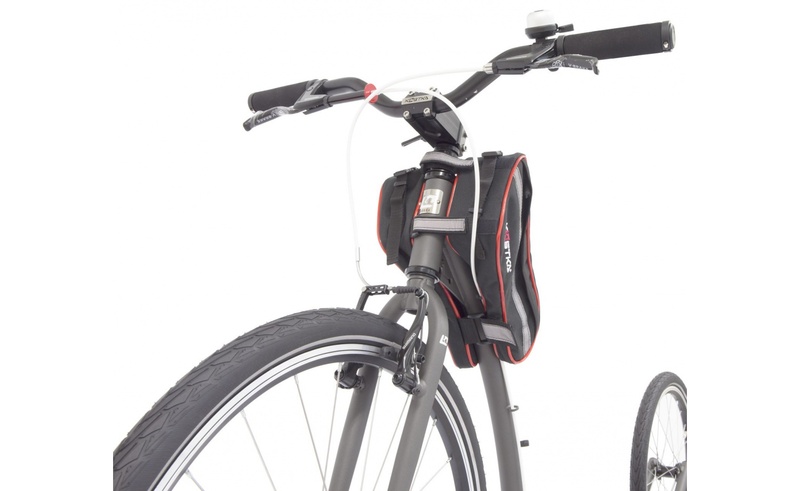 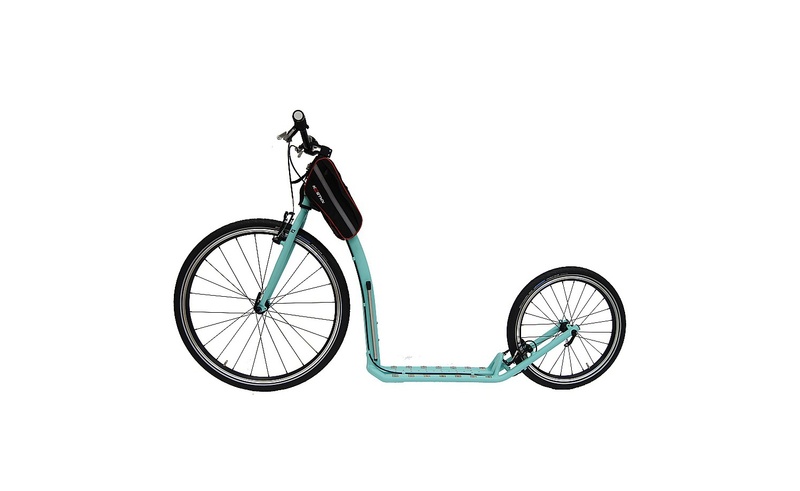 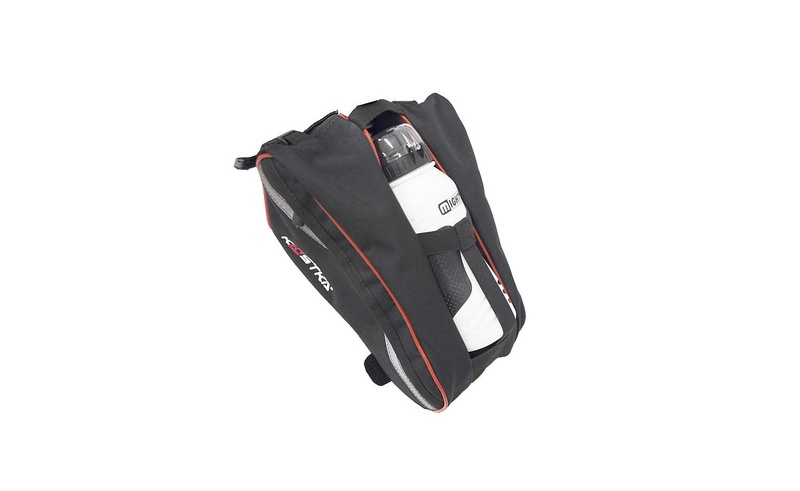 Every proper cruise scooter should be equiped with this practical and functional KOSTKA TWIN bag. 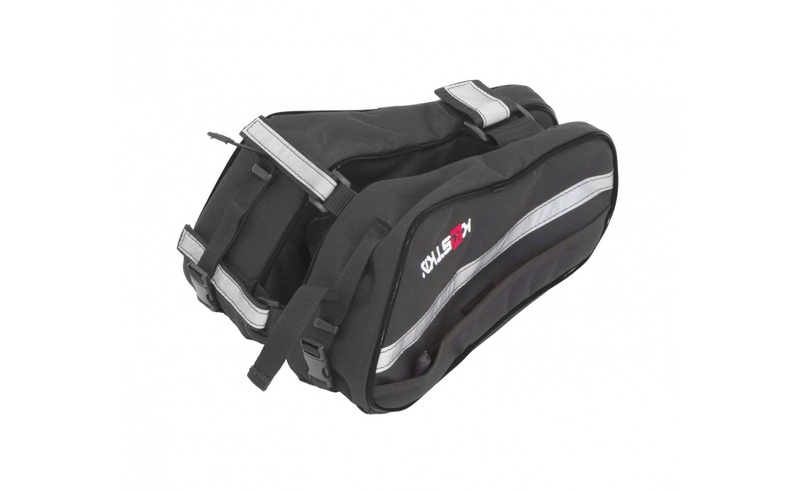 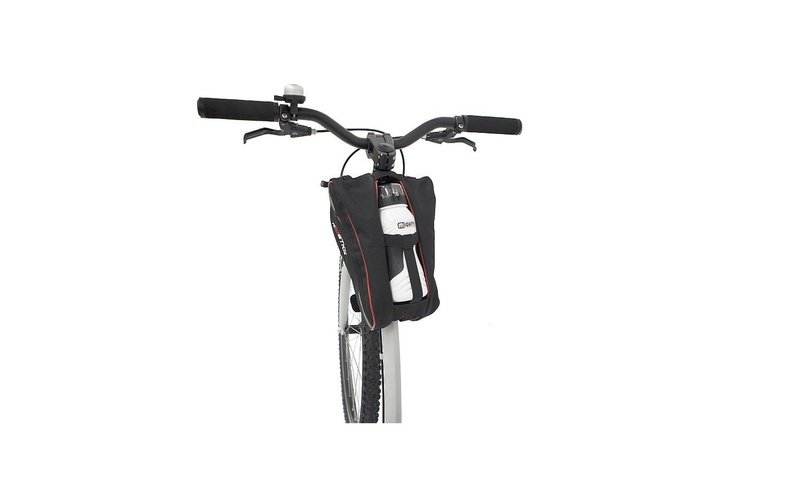 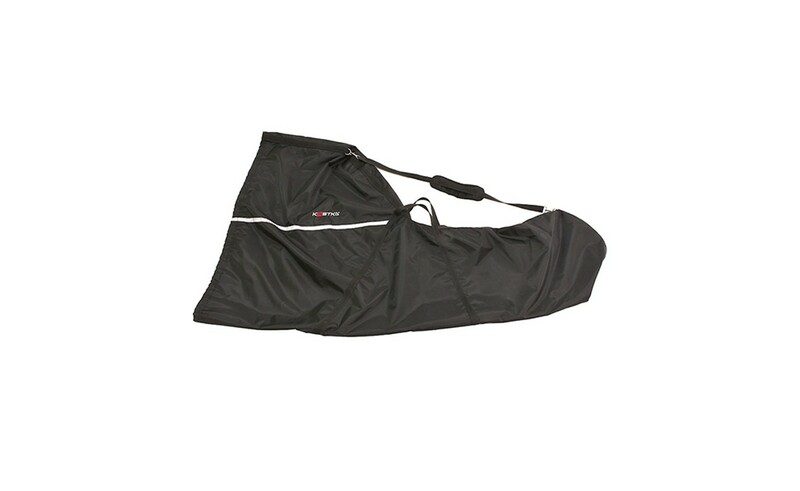 Fast and easy assembly are great advantage of this bag, so the rider can have the bag with him on every stop at shops or restaurants. 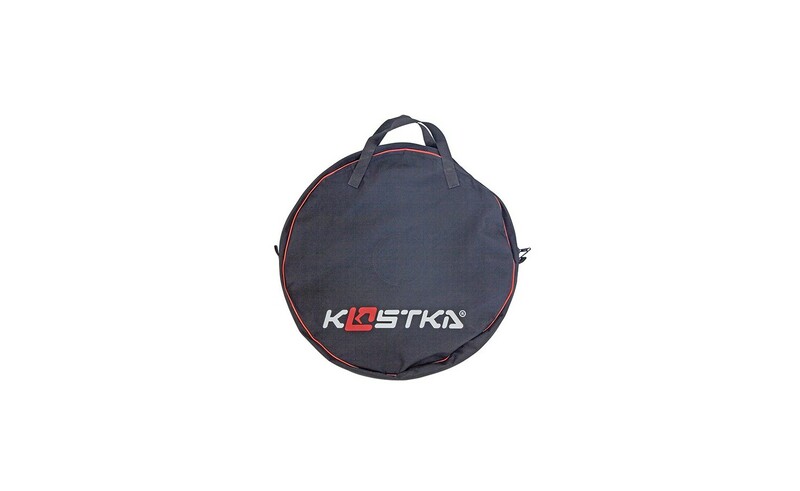 Elegant bag KOSTKA TWIN is fixed on the frame with velcro stripes. 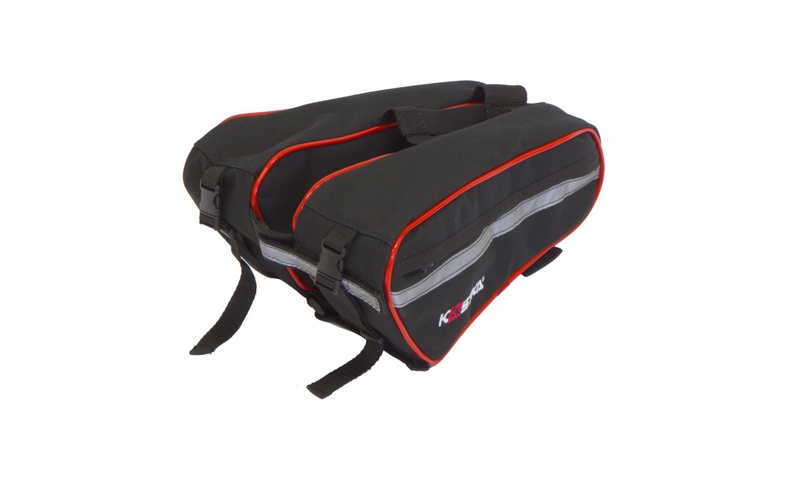 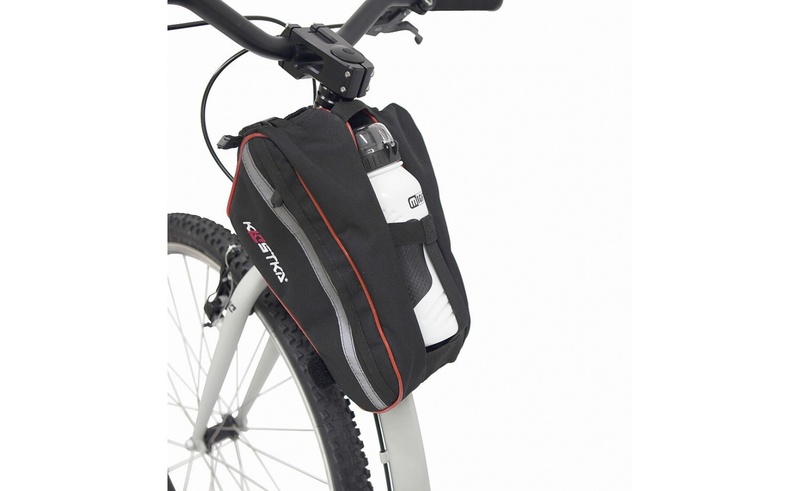 KOSTKA TWIN bag consist of two mutually independent pockets and between those two separated pockets you can easily mount your water bottle. 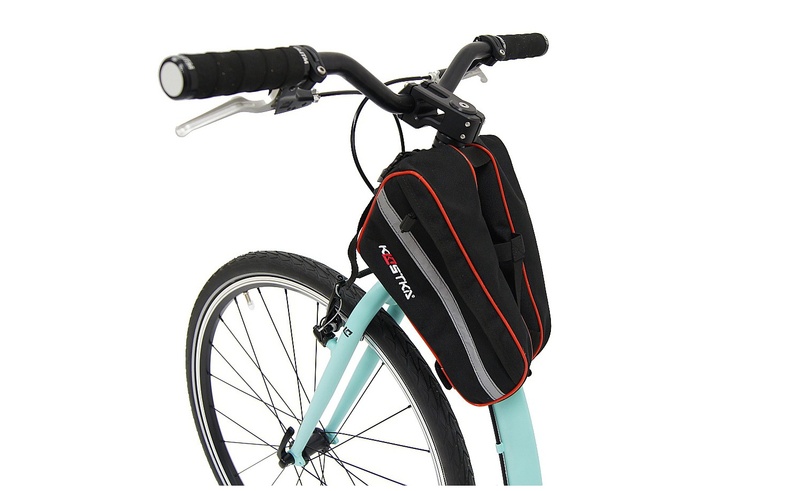 The size of the bag can tell us, that it has enough space for keeping all the important stuff of daily usage - not only snacks, but for example clothes: every of the two pockets is 290 mm long and 200 mm wide. 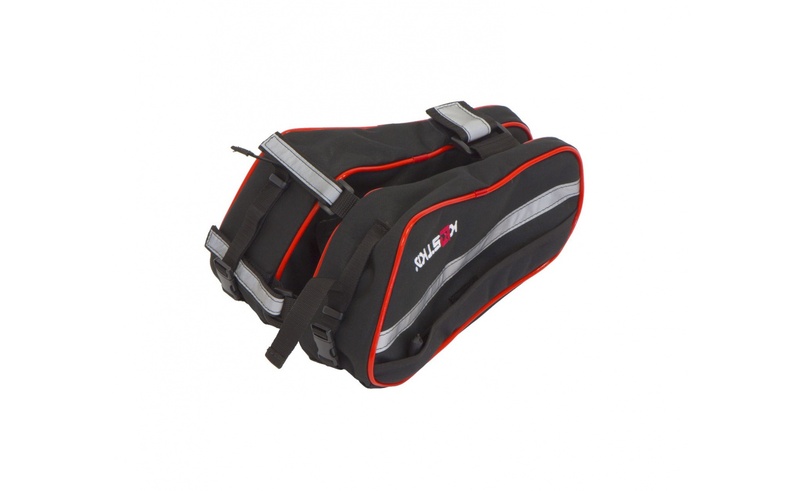 Front fixation stripes and the sides of the bag are provided with a reflective elements. 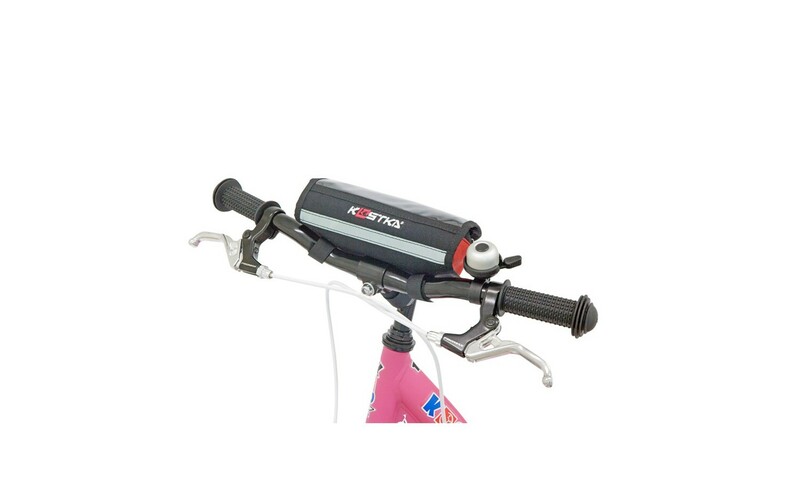 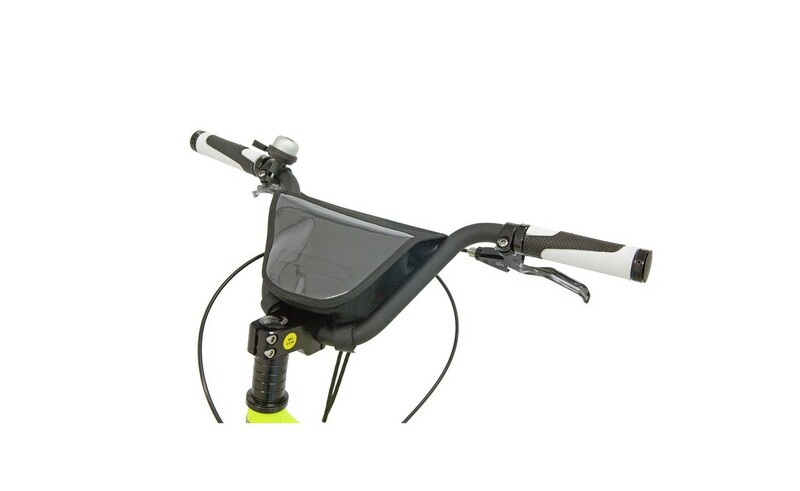 This is increasing the passive protection of the rider.